We R Memory Keepers WARM METAL Standard Eyelets 415831 at Simon Says STAMP! 415831 /0.6 This item is on reserve until If you would like to reserve this item now, you may purchase it now with the rest of your order. We will hold your order now and ship your entire order as soon as this item is back into stock. If you would like your order to ship now, please place this item on a separate order. 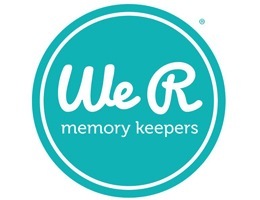 Success, We R Memory Keepers WARM METAL Standard Eyelets 415831 has been shared! Standard Size. Let your imagination run wild with these eyelets! They're perfect for paper crafting, scrapbooking, school, office or home projects. These eyelets have long necks with a fluted tip designed for use on thin paper, thick board and everything in between. This package contains sixty 0.33 inch eyelets (15 each of 4 colors). They have a 0.1875 inch center and 0.33 inch head. Set with the Crop-A-Dile or Crop-A-Dile II Big Bite.